Housed within the cabinet is a pair of 10" Eminence Legend speakers. Tried and tested on the road in a number of other OBC cabinets, the two 200W drivers are a perfect fit for the new design. They deliver a rich low end with great mid-range clarity making sure the OBC210 Mini bears all the sonic hallmarks of a classic 2x10" cabinet. The new cabinet also features two Speakon connectors that allow for daisy chaining to another cabinet of the same impedance for a total load of 4 Ohms. The new cabinet's dimensions allow it to sit comfortably on top of the OBC410 or OBC115 to create some smart looking stacks that push some serious air! 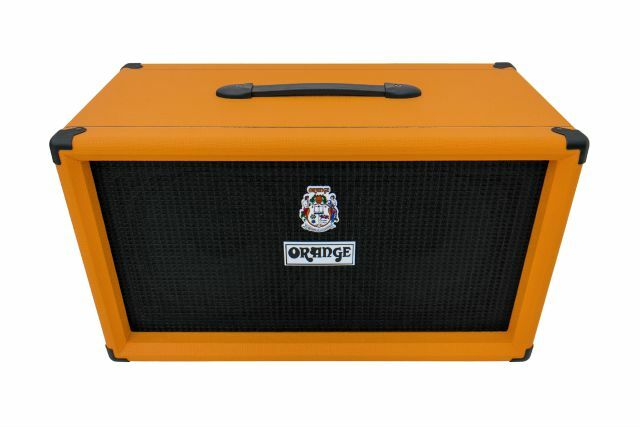 The OBC210 Mini is available now, contact your local Orange dealer for pricing.